Polyps occur in the lining of the uterus or endometrium. They are fleshy overgrowths of tissue that can cause spotting between periods or heavy periods. They are common in the premenopausal years. Transvaginal scan will normally be performed and it will take about 20 minutes. You do not need to attend with a full bladder. 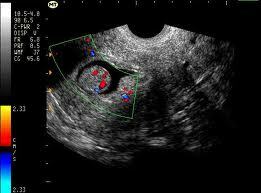 Record any abnormality such as fibroids.